Like rocket fuel for the mind! What is speed reading? How do you do it? Now that we've entered the Information Age, more and more people are asking these questions every day. Whether you'd like to get through the morning newspaper faster, manage that thick stack of reports and proposals on your desk, or just curl up with a juicy novel, speed reading is one of the most valuable skills you can possess. Few programs for reading speed and comprehension can boast that they're both highly effective and entertaining. 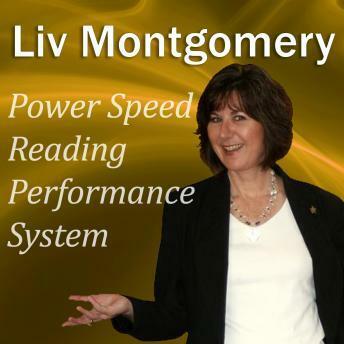 Unlike most other programs, Power Speed Reading offers potent techniques to improve comprehension and speed when reading while delivering powerful hypnosis methods for overcoming any resistance to flying through reading material. If you've tried other speed reading programs before and failed, fasten your seatbelt for a fun and fabulous ride like nothing you've ever experienced. Power Speed Reading really packs a punch, allowing you to break through all barriers and improve your reading ability, leaving only one question: How soon can you get started? I did not enjoy this book or reap any value from it. The storyline was childish and not applicable.